The House will pass a short-term bill to prevent the government from shutting down this weekend, Speaker Paul Ryan said on Tuesday. The announcement from the Wisconsin Republican came as talks on a sweeping $1.1 trillion government-wide spending bill continue slowly. The government is currently operating under a short-term spending bill that expires at midnight on Friday. The new stopgap spending bill will buy time for talks on the bigger measure. 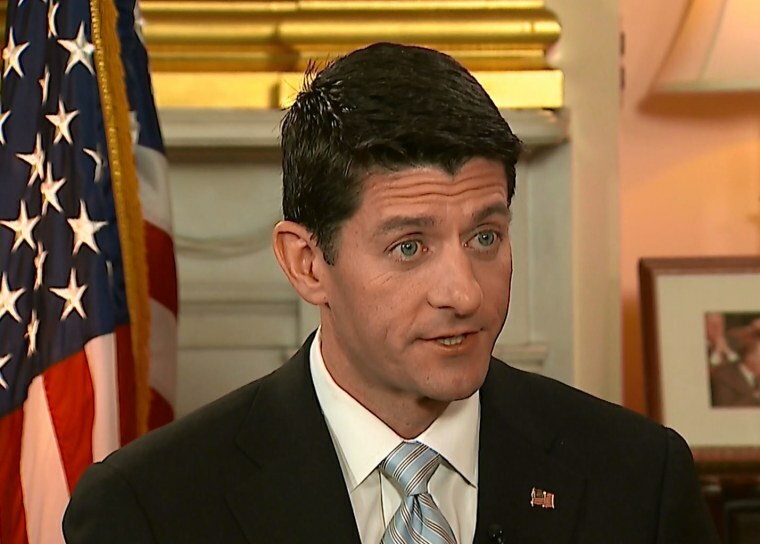 "We need to get it right," Ryan said of the broader measure. "I don't want us to go home until we get this done." The full-year spending bill is the main unresolved item on the congressional agenda as lawmakers look to wrap up the session and head home for the holidays. Democrats, backed up by President Barack Obama, have adopted a hard line against numerous GOP policy provisions woven into the 12 spending bills that serve as the template for what promises to be one huge bill known as an omnibus in Washington-speak. Republicans are holding out for policy "riders" that would, for instance, block new rules on power-plant emissions, stall a new Labor Department rule requiring financial advisers to avoid conflicts of interest when structuring retirement accounts, and curb new clean water rules. Another key item involves extending several dozen popular tax breaks for individuals and business. House GOP leaders unveiled a two-year measure extending tax breaks such as the research and development tax credit. Talks on a more ambitious tax measure permanently extending some of the tax breaks have stalled. "I think they're trying to jam us," said Rep. Tom Cole, R-Okla. Some Republicans are hoping to add provisions that would defund Obamacare, add measures to strengthen Syrian refugee vetting and cut funding for refugee relocation. "Ideological riders should not be a part of the process," White House press secretary Josh Earnest said on Tuesday.